The Glendale Downtown Specific Plan is a design-based planning document that guides development in the 200-acre urban heart of Glendale, California. Enabled under the unique provisions of California legislation that permit the creation of specialized area plans, the Downtown Specific Plan expresses both the City’s vision for downtown and its implementation standards. It is proactive urban design strategy for mixed-use, transit- and pedestrian-oriented downtown, designed to incorporate, mend, and unify the disparate development trends and policies that generated the existing skyline. 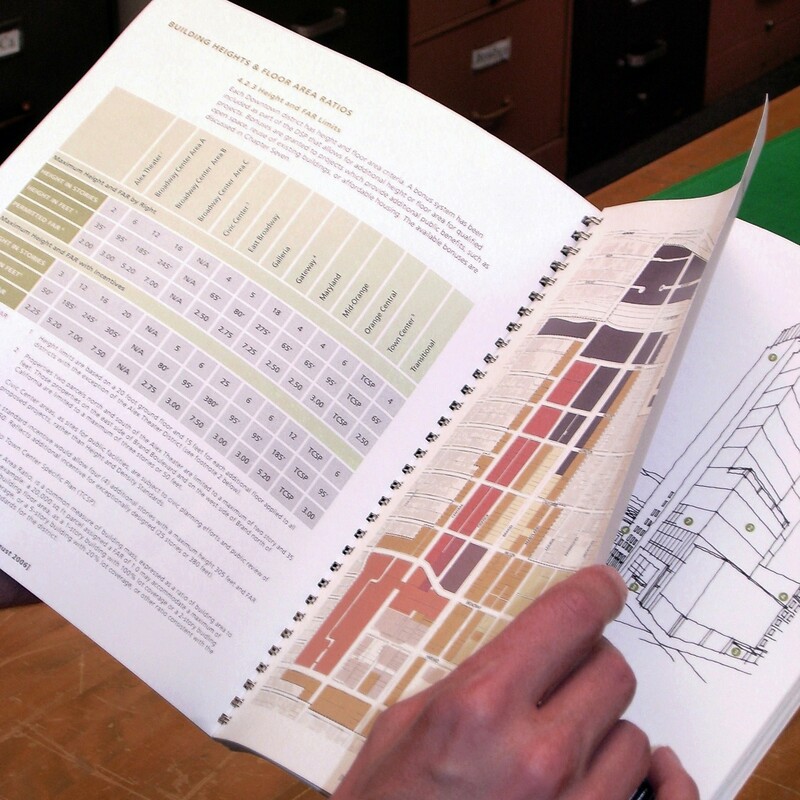 Intended to eliminate ambiguity or confusion about the form of desired development, the Plan outlines a comprehensive framework of policies, requirements, guidelines and incentives – in contrast to the old commercial-only CBD zoning standards, which conflicted with the policies and goals of the previous Downtown Strategic Plan and Design Guidelines. Despite the Recession that immediately followed its adoption in 2006, over 20 new projects have been opened, entered construction, or been entitled, under the Plan’s streamlined two-step review process, evidence of the DSP’s policy coherency, user-friendliness and flexibility. Creating opportunities for infill housing development within the downtown is one of the key policy features of the DSP. Faced with mounting political pressure to prevent or limit growth in established neighborhoods and surrounding hillsides, Glendale made a conscious choice to focus future development towards the downtown and other transit-oriented infill locations that had previously been zoned for commercial uses only. This strategy is consistent with the Southern California Association of Governments’ regional “Compass” growth plan, a blueprint for housing the additional 5 million people expected in the greater Los Angeles area over the next twenty years. For exemplifying “how communities can implement Compass Principles to encourage mutually supportive land use decisions and transportation investments” the regional planning association gave Glendale its highest honor during its inaugural award program. The Plan has also received awards from the local and state APA and AIA chapters. As Principal Urban Designer at the City of Glendale, Alan Loomis was the Lead Author and Project Manager for the Downtown Specific Plan.